AntiSocial puts you in control, you can block and restrict phone access in 3 ways. The same blocking modes apply for both AntiSocial Personal and AntiSocial Parental Control. 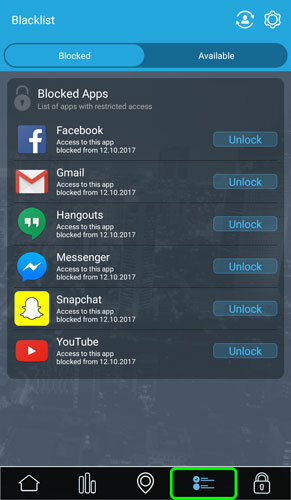 Step 1: Blacklist, go into the Blacklist section in the app and choose which apps will be restricted and move them to the blacklist. Any app on the 'available' list will always be accessible regardless of the blocking mode. 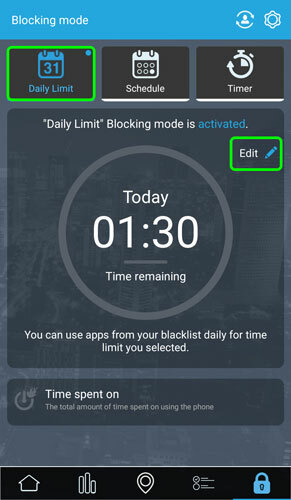 This is the most commonly used mode, you set a daily amount that the phone can be used and once this is reached any app on the blacklist is no longer accessible. The timer will only reduce when the phone has been used, so going in you can check to see how much time the person has left on their phone before apps will be blocked. 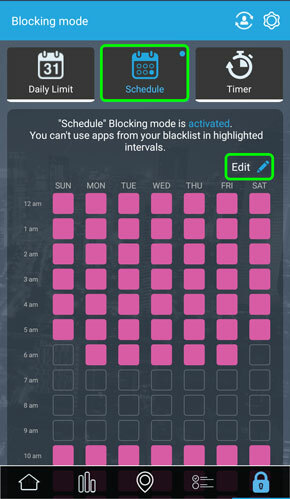 This blocking mode is to have a weekly schedule of when some apps cannot be used. Great for kids to have quiet times at night or in the mornings so they get ready for school. 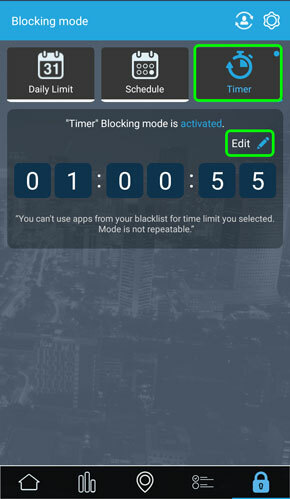 This is a temporary blocking mode where all apps on the blacklist will be blocked for the amount you set on the timer. Perfect for blocking distractions during study times. Set 1 one hour and remove distractions. Once the timer is complete all apps are accessible again.